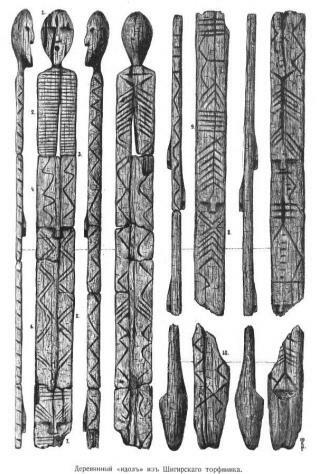 (Newser) – When scientists first tried in 1997 to date the famous Shigir Idol wooden sculpture —originally found in a Siberian peat bog in 1890—radiocarbon dating suggested the art was so old the findings were widely disputed. Now, armed with better tech, scientists turned to one of the world's most advanced accelerated mass spectrometry labs in Germany to put the issue to rest, and are announcing that Shigir Idol is indeed ancient—in fact, at 11,000 years of age it's actually 1,500 years older than first thought, reports the Siberian Times. Not only is it the oldest known wooden sculpture, but it's more than twice as old as the Great Pyramid of Giza, three times as old as the ancient city of Babylon, and five times as old as the ruins of Al Khazneh in the ancient city of Petra, reports the Huffington Post. Don't give it to ISIS for safekeeping. In Africa, they sell those wooden statues on every corner cheap.